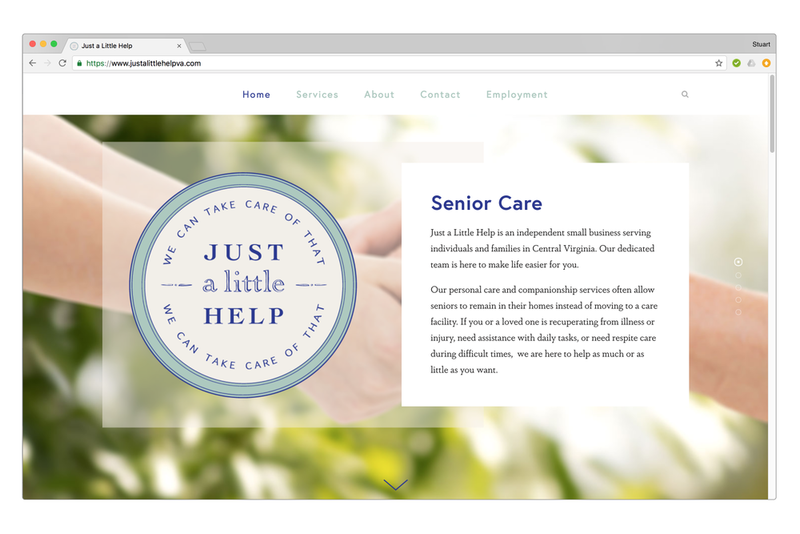 When owner Sarah Graham was starting her Charlottesville-based business "Just A Little Help" in 2013, she asked So Far Media to help with all aspects of branding and marketing. We collaborated on defining the brand, designing the logo, building the website, and producing basic printed marketing materials. 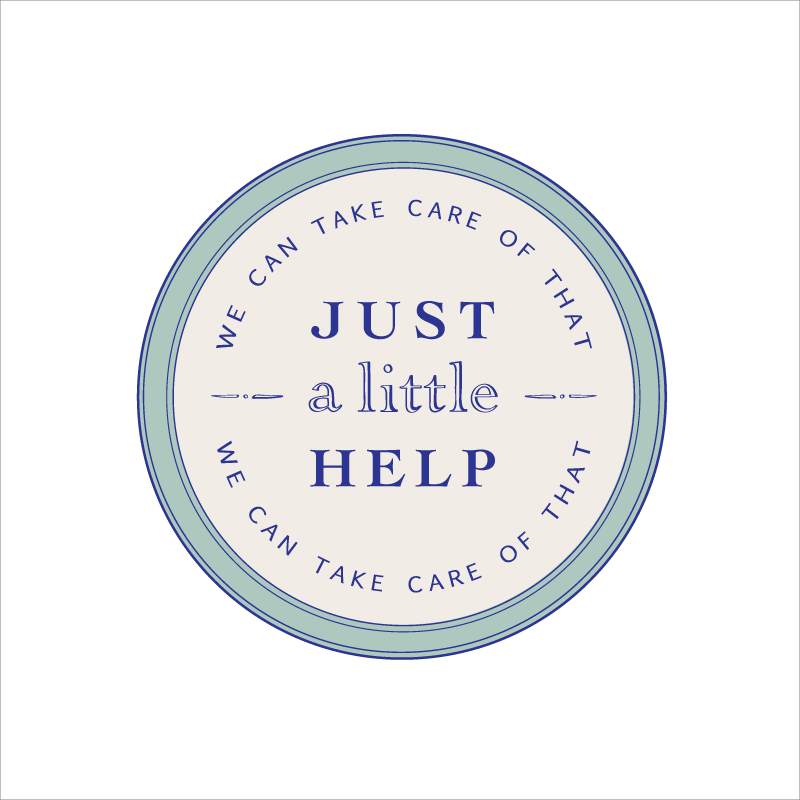 Sarah first conceived of Just A Little Help as a concierge service that would help a wide variety of people with a wide variety of tasks - seniors, busy families, people moving from one house to another, even institutions that needed someone to take care of an odd job. In the ensuing five years, however, experience revealed that her business functioned best as a boutique service devoted to all levels and aspects of senior care. In 2018, with her business going strong and her mission more focused, Sarah decided it was time for a refresh. We created a new logo, website, and new print materials to serve what is now a thriving and mature business. You can visit the site at justalittlehelpva.com. The business site, updated in 2018, is welcoming and easy to navigate. Mixing modern and vintage design elements, this logo is crafted to appeal to an older demographic who may be in need of senior care. 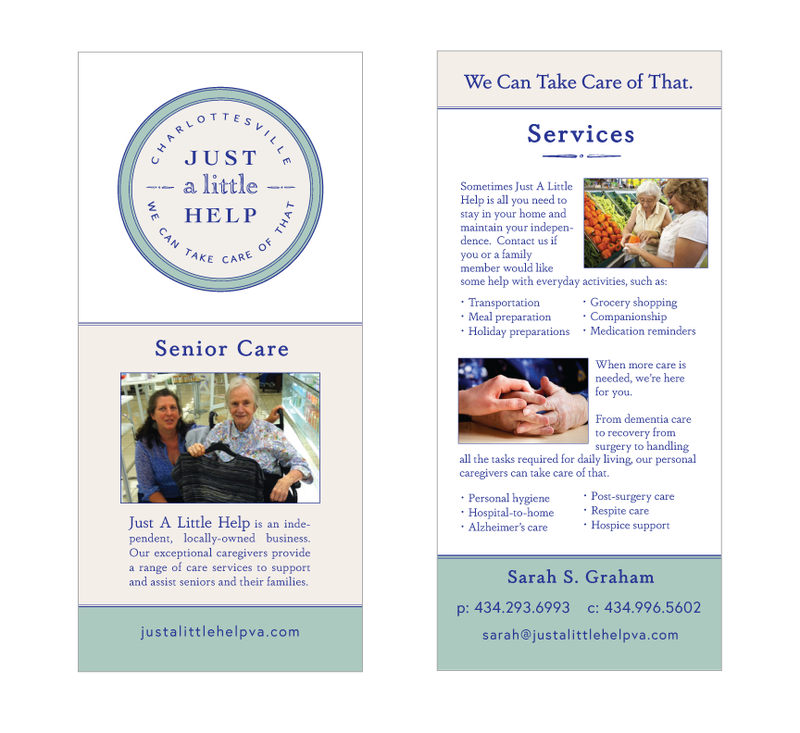 Leaving rack cards in strategic locations has proven to be an important part of Just A Little Help's marketing efforts.